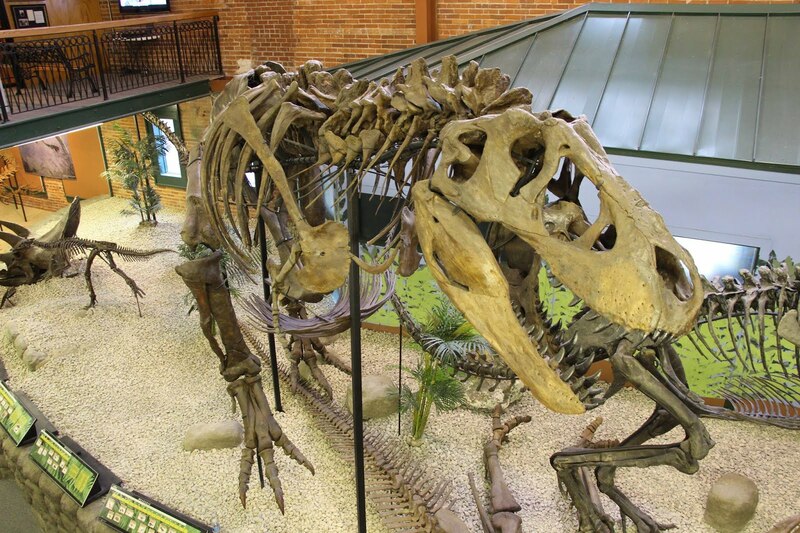 In 2007, the Tyrannosaurus rex endearingly named “Ivan” was loaned to the Museum of World Treasures. Ivan stands imposingly in the main atrium and is thus one of the first things guests see as they enter the Museum from the gift shop. He is a great source of many guests' questions. There is a considerable amount of information about Ivan that our staff has been able to research and verify, however, many details need further research and development in order to fully understand Ivan. To help fill in the gaps of knowledge about Ivan, the Museum’s Curator and Staff Paleontologist, Steven King, recently went on a research trip to South Dakota, Montana, and Canada. In South Dakota, King visited the site where Ivan was found to learn more about the rock layer in which he was found. Describing a rock layer entails measuring, investigating the rock types, and looking for other fossils in that layer. 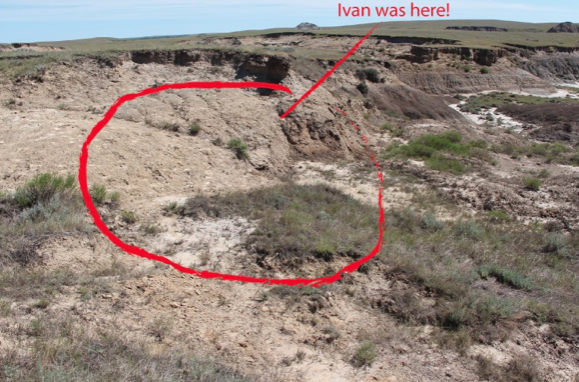 The Museum already knew that Ivan was uncovered in the Hell Creek Formation, a very prominent rock layer in the upper midwest, but further information was desired about the area where Ivan was found. That information helps illustrate the environment when Ivan was alive, the other organisms he lived with, and how he came to be buried in that specific place. In Montana, King visited the Museum of the Rockies in Bozeman and then stopped in Canada to visit the Royal Tyrrell Museum in Drumheller. 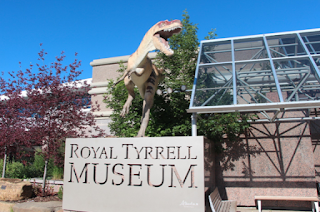 While visiting these museums, he studied other tyrannosaur fossils to serve as a comparison to the fossils from Ivan. King particularly focused on the gastralia (belly ribs). 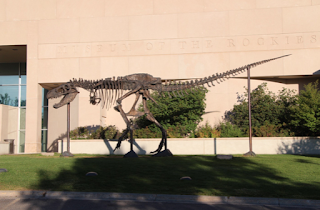 The gastralia, with regard to tyrannosaur, are not well understood among paleontologists. The information collected will assist the Museum curatorial staff in a better understanding of the structure and function of the gastralia. With all the data that was collected, it will take some time to complete the research. However, even before the research is complete some of the information will be shared with the public next week at 9:00 a.m. on Thursday, August 18 at Coffee with the Curator featuring Steven King. 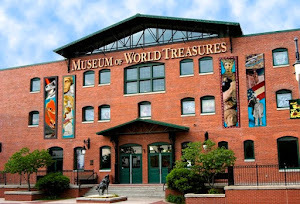 Research at the Museum of World Treasures helps bring the most updated and accurate information to Museum constituents, and to tell the stories of our collections that teach us our place in this beautifully diverse world. The Museum looks forward to the completion of research and the potential of publishing these findings in an academic journal.